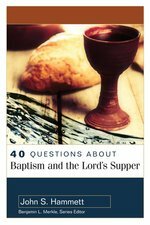 Appropriate for the student and thoughtful layperson, 40 Questions About Baptism and the Lord's Supper answers forty of the most common and most difficult questions about the two Protestant ordinances. There is significant diversity of views on these subjects and the skilled, evenhanded biblical analysis sheds lights on the many theological and pastoral considerations regarding baptism and communion. Baptism and the Lord's Supper are practiced by almost all Christian churches, but they disagree on the meaning, proper participants, even the proper names for these observances. This book includes the major theological issues (such as infant baptism, open and closed communion, and the nature of God's activity in these celebrations), the views held by different denominations (from Roman Catholic to Lutheran, Reformed, Baptist, and others), and a number of practical issues (such as the proper age at which to baptize a child, the frequency with which the Lord's Supper should be observed, and whether these two practices should be observed only in churches). This volume will be helpful to pastors, worship leaders, college and seminary students, and of interest to all Christians who want to grow in their understanding of these two basic Christian acts of worship. Each chapter is succinct and readable, with footnotes indicating additional sources for those who wish to go further. 50 SIMPLE THINGS YOU CAN DO TO SAVE THE OSI!! Together, We Can Make a Difference Today's environmental problems may seem too overwhelming for one person to tackle . . . but you don't have to do it alone. Now you have partners--50 of them. 50 Simple Things You Can Do to Save the Earth, the revolutionary 1990 bestseller, is back in a completely revised, updated edition . . . and it's just as innovative and groundbreaking as the original. The authors have teamed up with 50 of America's top environmental groups, including The Natural Resources Defense Council, the National Wildlife Federation, and Rainforest Action Network. Each group has chosen one issue and provided a simple, step-by-step program that will empower you and your family to become citizen activists in the fight to save the Earth. It's easy to get started. Just pick one! Recent theology offers few attempts to come to grips with the meaning and implications of the ascension of Jesus. Ascension and Ecclesia promises to refocus attention on this crucial Christian doctrine. Douglas Bryce Farrow begins with a discussion of the biblical treatment of the ascension and eucharistic celebration, from which emerges the unique ecclesial worldview. Succeeding chapters explore the link between the ascension, cosmology, and ecclesiology and examine the difficulties faced by the doctrine of ascension in our modern scientific world. Many Christians today have experienced a loss of enormous significance - they no longer understand their daily lives to be lived "before God." This timely work traces the development and implications of this loss and argues for its recovery. In comparing contemporary Christians with believers of previous eras, author George Stroup sees an "eclipse" of life lived before God. This eclipse is tragic because the Bible presupposes human life as a daily, personal relationship with God. Stroup here offers help by exploring anew the biblical view that Jesus Christ models most clearly what life lived before God and neighbor looks like. He then suggests that describing Christian life as gratitude naturally evokes a sense of life lived before God. The book concludes by examining whether life before God requires a sense of God's presence - and whether it is possible to live before God even in those times when he seems to be absent. Offering thought-provoking analysis of modern faith and sound direction for spiritual renewal, Before God is perfect for churches, study groups, pastors, and individuals pursuing genuine discipleship. Binding and loosing, baptism, eucharist, multiplicity of gifts, and open meeting; these five New Testament practices were central in the life of the early Christian community. Some of them are still echoed in the practice of the church today. But the full social, ethical, and communal meaning of the original practices has often been covered by centuries of ritual and interpretation. 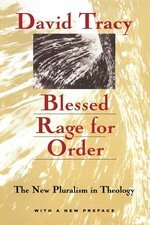 John Howard Yoder, in his inimitably direct and discerning style, uncovers the original meaning of the five practices and shows why the recovery of these practices is so important for the social, economic, and political witness of the church today. In the midst of suffering, Katongole says, hope takes the form of "arguing" and "wrestling" with God. Such lament is not merely a cry of pain--it is a way of mourning, protesting, and appealing to God. As he unpacks the rich theological and social dimensions of the practice of lament in Africa, Katongole tells the stories of courageous Christian activists working for change in East Africa and invites readers to enter into lament along with them. 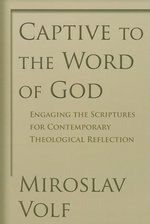 In this book, Miroslav Volf, a systematic theologian, interprets texts of the Christian scriptures and invites others to also delve into, as he puts it, the site of God's self-revelation for the sake of humanity's integral salvation. 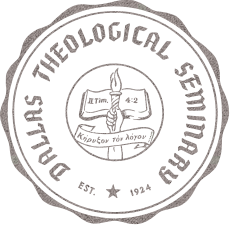 CARE OF CREATION PRINT ON DEMAND ING OP!!! This collection of essays edited by R. J. Berry is a stimulating and provocative international commentary by leading theologians and environmental practitioners on the Christian responsibility to care for the environment. "God intends . . . our care of the creation to reflect our love for the Creator," writes John Stott in the foreword to this book. For the theologians and scientists who have contributed to this book, the care of creation is both crucial to human survival and a supreme test of the reality of Christian faith. Their concern reflects not just the selfish interest of the developed North. Nor is it merely a minority enthusiasm, peculiar to bird-watchers and tree-huggers. Rather, it stems from God's creation commands, from Christ's reconciling work, and from what should be a communion of worship between the human and natural worlds. The Christian tradition provides a wealth of insight into perennial human questions about the shape of the good life, human happiness, virtue, justice, wealth and poverty, spiritual growth, and much else besides -- and Christian scholars can do great good by bringing that rich tradition into conversation with the broader culture. But what is the nature and purpose of distinctively Christian scholarship, and what does that imply for the life and calling of the Christian scholar? What is it about Christian scholarship that makes it Christian?